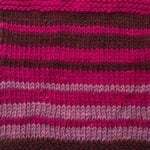 If you’re working stripes – and they’re only a few rows (say, no more than 6) it’s nice to avoid weaving in all those extra ends. 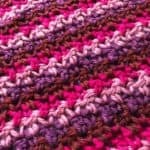 Carry up the yarn instead of cutting it! Note this only works for an even number of rows between stripes. 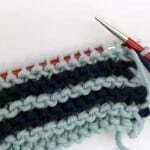 If you have an odd number of stripes, the yarns will be on both edges and this won’t work. But, many (most?) 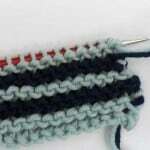 patterns switch yarns on the same side for just this reason. When you’re ready to work a new row that has both yarns. Slip the first stitch (purlwise). 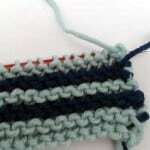 Bring both yarns to the front – between the stitch just slipped and the next stitch. Slip that stitch back. You’re wrapping that first stitch. Now go on and knit with the color needed for that row. This creates a nice, tidy way to carry the yarn and you hardly see it. 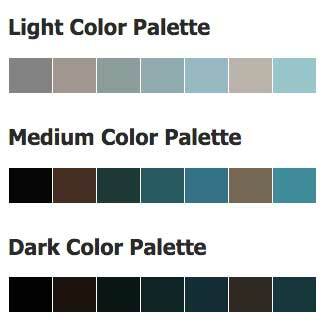 If you’re joining a new color, lay its tail down to the right, with the other side aligned with the original color. Wrap it just as if both yarns were already attached. I’ve used this on a three colour stripe shawl and it looks amazing. So much nicer than the usual ‘carry up the side’. The wrapping is genius! so glad you like it – it’s beautiful, right? 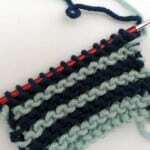 Wish I had read this before I had done a striped wrap, especially as it had decreases up one side to get a slope. I will know for next time, thnks. I’m so sorry you didn’t get to use this while knitting your striped wrap! 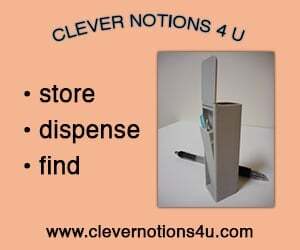 I hope you get to use this next time. Obrigada, pelo envio dos tutoriais. 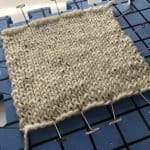 I have been knitting swatches on different sized needles to find the correct stitch gauge for my first pin striped sweater using 2 colors and was very frustrated at the looseness of my edge stitches no matter how hard I tried to keep them snug. I remembered saving this article on carrying yarn up the side and checked it out. I am knitting one color, then attaching the 2nd color and then sliding the work to the other end of my circulars so every other row I have both yarns on the same edge. I tried your method but was unhappy with the bulkiness that occurred so I tried this instead. 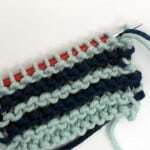 I slip the first stitch purlwise and bring only the yarn I am NOT going to use from back to front, slip the stitch back and continue to knit. It is working great with no bulkiness or loose edge stitches.whatsoever! 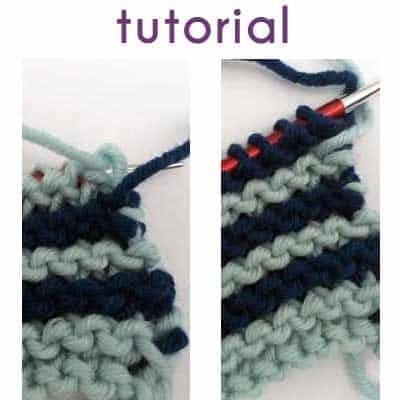 Your technique led to a solution that achieves the same results when knitting single row stripes. I am so glad I had this article to refer to BEFORE I started my actual project. Thank you so much!